Japanese Level 1 is designed to teach beginners everyday language and to introduce pronunciation, basic sentence patterns and essential vocabulary. The program includes reading and writing both hiragana and katakana scripts, learning common expressions, and counting systems. 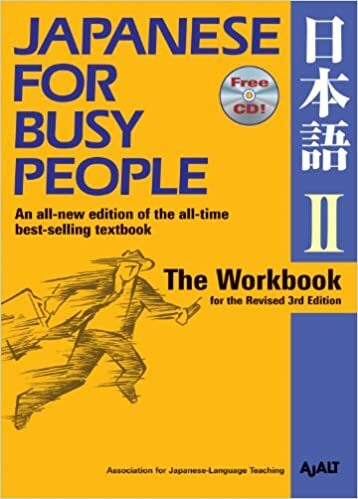 Japanese Level 2 continues to build upon the basic foundation acquired in Level 1, emphasizing further vocabulary and conversational practice using new grammar, including verbs, time expressions and location words. The course features continued practice in reading and writing hiragana and katakana. In Japanese Level 3 students learn more complex sentence structure through adjectives, and the –te and –nai forms of verbs. We will introduce examples of customary behavior in everyday situations such as giving and receiving gifts, using the telephone, and asking for directions. The course features continued practice in reading and writing hiragana and katakana. Japanese Level 4 helps students acquire a more advanced level of grammar: dictionary forms and the –ta forms of verbs while acquiring conversational skills such as making comparisons descriptions using adjectives. Kanji learning starts from this level, and 50 kanji are introduced. Japanese Level 5 develops communication skills based on everyday topics using relative and subordinate clauses, as well as focusing on less formal speech conversation in practical situations such as applying for school and making hotel reservations. Writing a diary is also introduced using the plain forms of verbs. Students will learn about 60 more kanji. This program is designed for students who already have a good command of the spoken and written language. 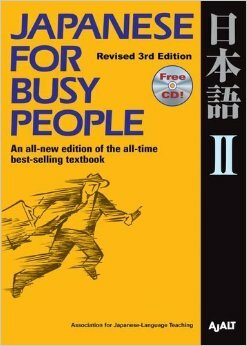 Conducted entirely in Japanese, the course emphasizes speaking and understanding spoken Japanese in a cultural context. It aims to develop conversational skills by focusing on communication strategies, including the use of topical DVDs and CDs. 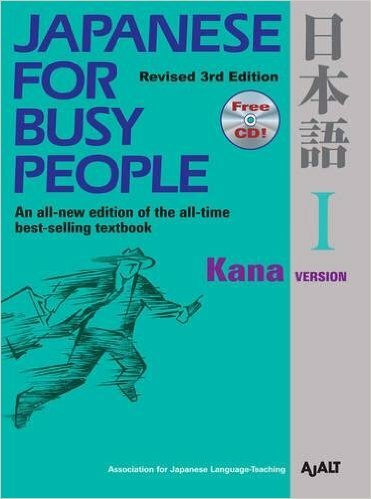 Over the past thirty years, we have reviewed many university-level Japanese textbooks and have selected Japanese for Busy People: Kana Version, third edition (Kodansha International) with the workbook as best-suited for our students in beginning and intermediate levels. Teachers provide suggestions for texts and supplementary materials at the higher levels. Books may be purchased at the Barnes and Noble Boston University Bookstore, 660 Beacon Street, Boston or on-line on Amazon.com. Tuition for the Japanese program at all levels is $359. There is a non-refundable $35 registration fee for first-time students only.